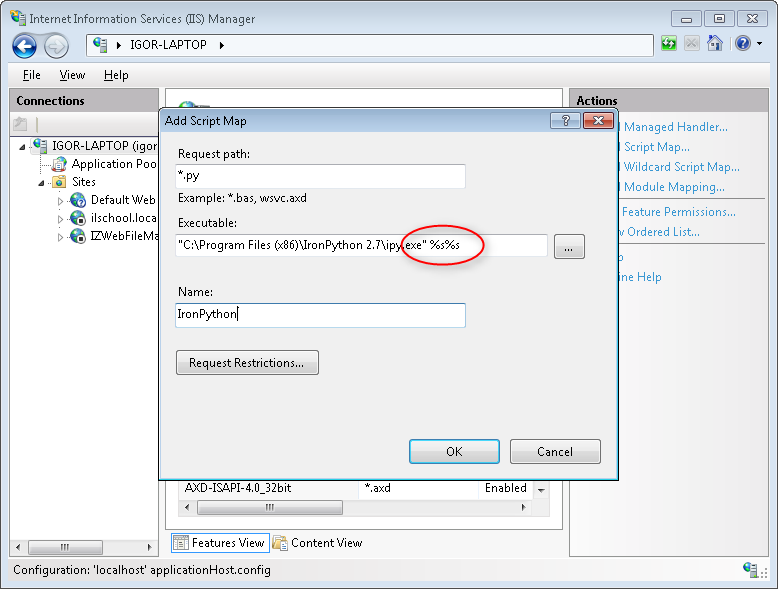 This guide walks you through configuring IronPython CGI on IIS 7. First you need to download and install IronPython at http://ironpython.codeplex.com/. This post uses IronPython 2.7 Beta 1. By default, installer put the files in C:\Program Files (x86)\IronPython 2.7. 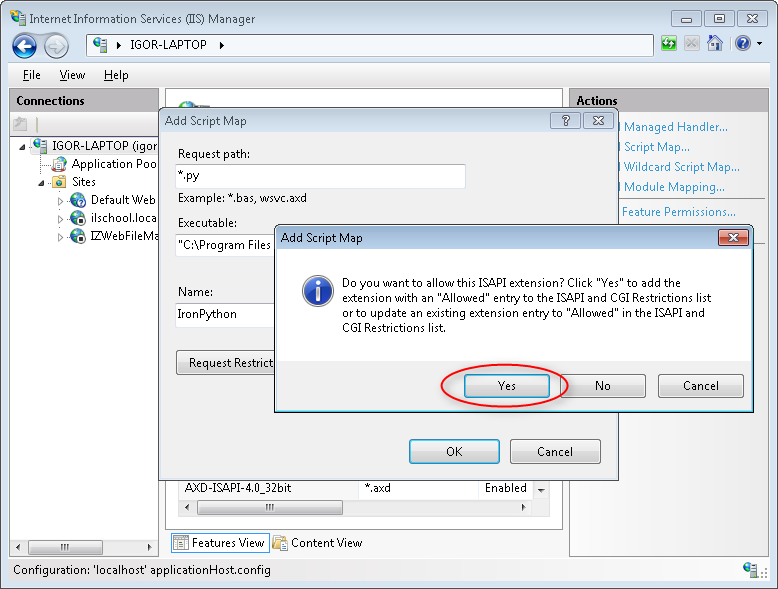 The installation path might be changed during installation process. By default CGI support is not installed. 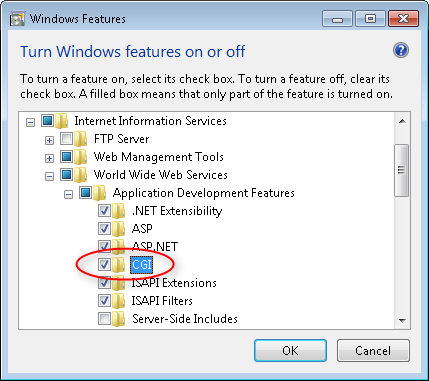 To turn it on, open Control Panel > Programs and Features > Turn Windows features on and off dialog. In Request path, put "*.py" as the script files extension, In Executable select "C:\Program Files (x86)\IronPython 2.7\ipy.exe" %s%s - the IronPython installation path and it's parameters. I actually don't know what such "%s%s" parameters mean, but believe me, you need to keep it as is. It doesn't work without. 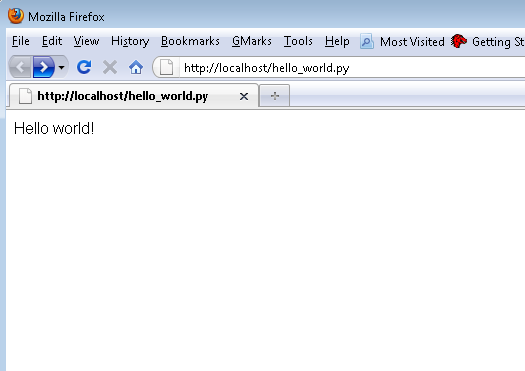 Click OK, then you will be prompt to allow this CGI extension - click OK.
Write a simple Python script and place it in the root folder of the web site. Point your browser to the test script and it should be working.